Rampur city, Uttar Pradesh is an Administrative Headquarters of Rampur District. It is a Muslim dominated city and considered as one of the greatest schools of Poetry. It is also well-known as kite making city. The literacy rate of the city is 53.34%. Education centers of the city are the major attractions for the students. The Muhammad Ali Jauhar University, Impact College of Science and Technology, Govt. Girls P.G. College along with several Government and Private Industrial Training Centers are playing the essential role in student’s life by providing technical as well as non-technical education to the students to fulfill the demands of various industries. ITI’s in Rampur offer many courses such as Computer Operator, Fitter, Mechanic, Electrician and Turner etc. which are of duration from 6 months to 2 years. Minimum age requiring is 14 years and basic qualification for these courses is matriculation. Successful Tradesman receives the National Trade Certificate (NTC). 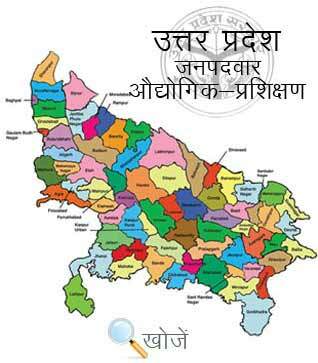 Rampur has 5 Govt. ITI’s and 4 Private ITI’s. Sessions under this scheme begin from the 1st of August. In the state of Uttar Pradesh, Vyavasayik Pareeksha Parishad (www.vppup.in) is responsible for conducting the entrance examinations for admission to various courses in ITI’s. Aspirants can also visit www.upiti.in to get all the updated information regarding online admission, admit card, results, courses, ,counseling dates and other important notifications etc.